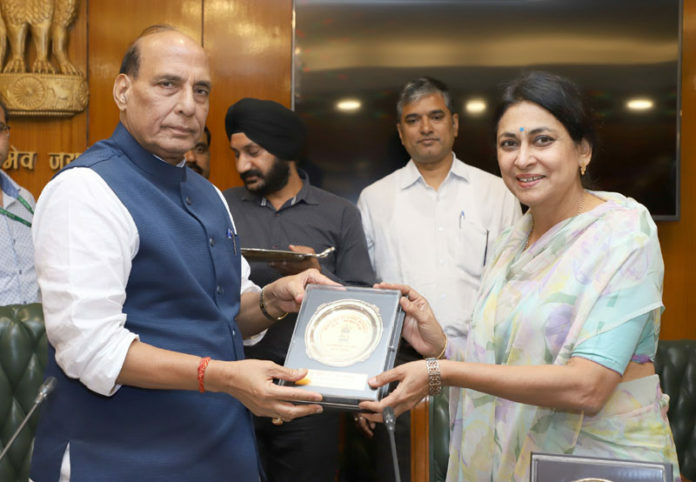 The Union Home Minister, Shri Rajnath Singh presenting a memento to Dr. Meeran C. Borwankar, who retired as Director General, Bureau of Police Research & Development (BPR&D) last month, during a farewell function, in New Delhi on October 03, 2017. New Delhi: The Union Home Minister Shri Rajnath Singh distributed eleven scholarship cheques at a function here today to the school going children of Central Armed Police Forces (CAPFs) and Assam Rifles (AR) personnel who sacrificed their lives in the service of the nation. Remaining 172 scholarship funds were digitally transferred to the beneficiaries by the sponsors, Sarojini Damodaran Foundation (SDF). The SDF initiated the provision of scholarship to children of CAPFs personnel in the year 2016. MHA carried out an exercise and identified 295 children from different CAPFs and AR families and decided about scholarship in consultation with SDF of Rs.6000/- per child. This year 183 children have been identified from different CAPFs and MHA and SDF decided to provide scholarship to these children for subsequent years. 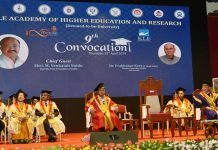 In his brief address, the Union Home Minister complimented Shri S.D. Shibulal, Managing Trustee, Sarojini Damodaran Foundation (SDF) for undertaking a noble task and his contribution to nation-building. Shri Rajnath Singh said the SDF has been engaged in several philanthropic activities including care for the elderly and the weaker sections of society. Senior Officers of MHA & CAPFs, Smt. Kumari Shibulal, Patron, SDF and family members of CAPF personnel attended the function.